We are happy to announce that this year’s edition of the Malta Military Tattoo, will be held in Pjazza San Gorg, Valletta as part of the Valletta 2018 programme. The show will be held on the 21st, 22nd and 23rd of September. The event will continue to be organized by MFCC, with the support and collaboration of the Valletta 2018 Committee and the Malta Tourism Authority. 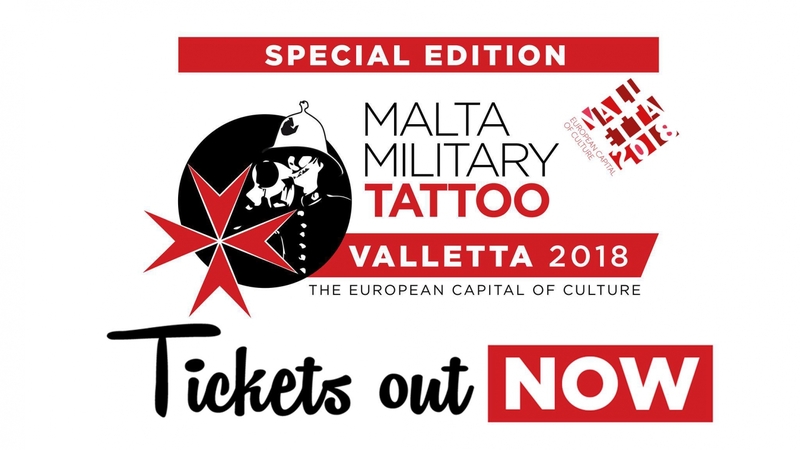 The Malta Military Tattoo which is in its 15th edition will returns to the grandeur of Valletta which is this year endorsed by the title European Cultural Capital. This makes the return more symbolic. The Malta Military Tattoo will feature the great bands from the Armed Forces of Malta and the Malta Police Bands from Malta. Along the years both bands have been spectacular in their presentation and precise with their drill teams, who also perform during this event, which has become internationally renowned. The Massed Pipes and Drums, will also be present to make the whole event superb in the setting of the magnificent City of Valletta. Foreign bands will also be part of the lineup and will be announced at a later date. So this year make sure to save the dates and book your tickets to the Malta Military Tattoo.